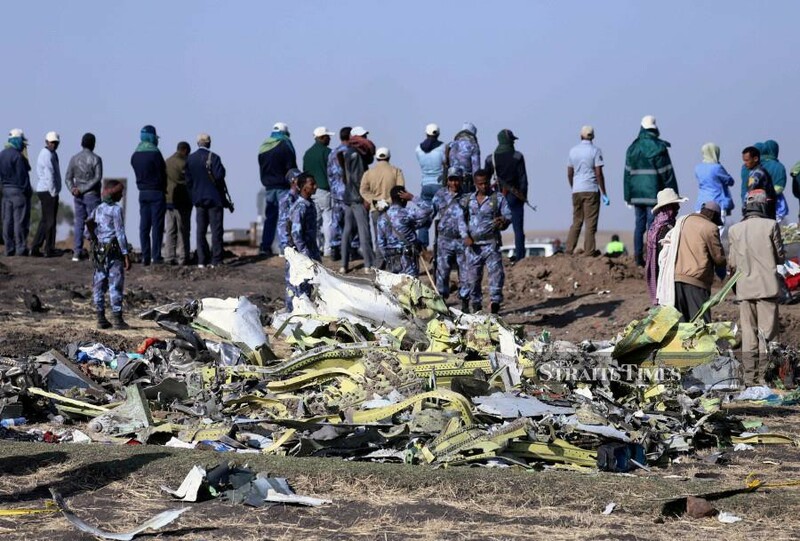 PUTRAJAYA: Malaysia has conveyed its sympathy to the Ethiopian government and its people over the recent tragedy involving Ethiopian Airlines' Flight ET302 on Sunday. Economic Affairs Minister Datuk Seri Mohamed Azmin Ali said he was deeply saddened by what had happened. “It is with deep regret that I received news that Ethiopian Airlines' Flight ET302 had crashed near Addis Ababa on Sunday (March 10), killing 149 passengers and eight crew members. “I understand the flight was en route to Nairobi from Addis Ababa carrying passengers from 35 countries and was also reported to have had passengers who were headed for a United Nations Environment Assembly in Nairobi, Kenya. “I am deeply saddened at the tragic loss of lives and express my deepest condolences to the victims’ families and loved ones,” said Mohamed Azmin in a statement today. International Organization for Migration (IOM) head Antonio Vitorino had said early indications revealed that 19 staff members of UN affiliated organizations perished in the Sunday crash. “Numerous other staff members from at least five UN and affiliated organizations are understood to have also perished,” he said. “Along with the IOM, the World Food Program, UN Refugee Agency, World Bank, UN Environment Agency and others lost colleagues, he said. Kenya’s Transport Minister James Macharia had said there were passengers from at least 35 countries on board Flight ET302. He said there were 32 Kenyans on board, 18 Canadians, eight Chinese nationals and five Dutch passengers. Other nationals were six from Egypt, nine from Ethiopia, seven each from France and the United Kingdom, four from India, eight from Italy, four from Slovakia and eight from the United States. The nationality of two other passengers could not be ascertained. The flight crashed just six minutes after take-off.